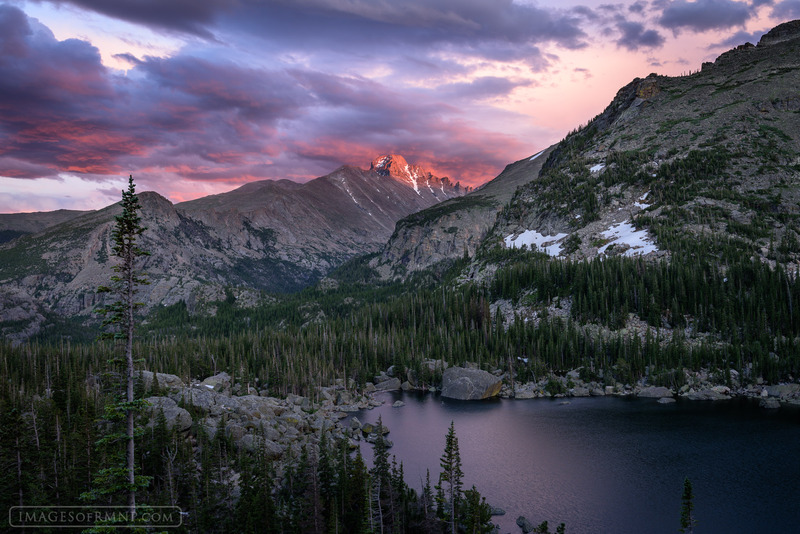 Longs Peak towers over Lake Haiyaha on a beautiful summer evening as the clouds of a breaking storm glow in the light of a distant setting sun. Views like these cause something deep within to well up in awe, wonder and celebration. Photo © copyright by Erik Stensland.